Those of us who want to live healthily must be mindful when picking the right meal plan. Paleo diet is the best choice for people desiring to improve their health and stay in good shape. 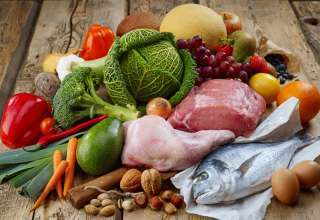 Paleo diets are built around the premise of eating only natural foods that contain polyunsaturated and saturated fats, lots of fruits and vegetables, and lean meats. 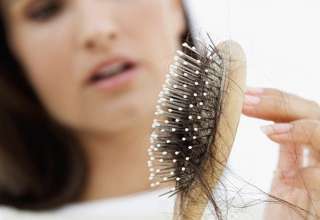 At the same time, such diets strictly forbid carbohydrates and processed sugary foods. Paleo has been trending for quite a while and many people decided to go full paleo turning their backs to other types of diets. Paleo is great for athletes, people living a healthy lifestyle, and those who are concerned with their weight. This is a balanced nutrition plan that fits nearly everyone. However, some people still do not know crucial things about Paleo Dieting. Fact #1. Not all protein bars are paleo. The market offers a wide variety of protein rich snacks. The abundance of similar and often seemingly identical products makes some people believe that nearly all protein bars suit paleo diets, but that is not quite true. Paleo-approved protein bars should contain healthy fats and proteins extracted from natural ingredients. It is generally recommended to choose bars with unprocessed cocoa and unsweetened with artificial sweeteners and sugar. Protein bars that feature processed chocolate, over 10-15% carbs, and/or starches are less welcomed to a paleo meal plan. There are also snacks that contain too many nuts or use ingredients that contain glutens. So be careful when reading the contents. In general, you should try to avoid dairy products, processed grain, starches, alcohol, and sugar. If your “healthful” snack contains any of that, it will not fit well in your diet. Be mindful and avoid undesired ingredients. Fact #2. Best paleo protein bars are homemade. You can spend hours browsing through endless lists of best products reading one paleo protein bars review after another, but the best snack you can add to your daily meal plan is the one that you make for yourself according to your own preferences. Homemade paleo protein bars became popular amongst healthily living people due to a variety of reasons. They are cheap. You can buy great natural ingredients at your local grocery store and avoid products that you may not like. Some people just do not like unsweetened cacao and would like to remove it from their snacks completely. Others enjoy nut-free snacks. Constructing your own snack can be fun and efficient. Homemade bars are easy to make. In the vast majority of cases, your low carb protein bar recipe will demand only a handful of operations. Putting the mix of peeled ingredients in the food processor is usually all it takes to make a healthy snack. Paleo protein bars recipes are everywhere! You can easily find an easy-to-make protein bar recipe in the internet. With so many people going crazy over paleo, searching for the right combination of products and cooking procedures is simple enough. The only downside of relying on homemade healthy snacks is that you may not have an access to truly healthy ingredients. When you travel or simply do not have time to cook, branded protein bars may be your only option. In this case, choosing wisely is pivotal. Fact #3. Paleo protein bars must contain specific ingredients. There is a plethora of various brands of healthy snacks that you can choose from. The variety strikes the eye when you start searching for a good protein bar. However, not every single snack will fit right into your paleo meal plan. You need to know how to distinguish a nice snack from a simple mix of fats, proteins, and carbs. In order to make a right choice, you must know what’s inside a paleo-approved protein bar. Fruits and vegetables. The combination of antioxidants, important vitamins, and phytonutrients is what makes fruits and vegetables vital for any paleo diet. 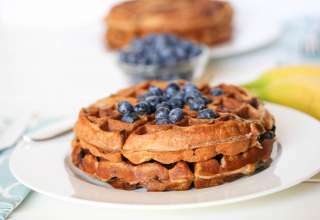 At the same time, these ingredients are full of fiber and contain enough carbohydrates. Eating a sufficient amount of fruits and vegetables helps in preventing cancer, diabetes, and various neurological issues. Lean proteins. If your goal is to build a healthy body, lean proteins should be your number one priority. Lean proteins make you less hungry by feeding your body between complex meals and sufficiently supply your body with “building materials” for your muscles. Omega-3 fatty acids. 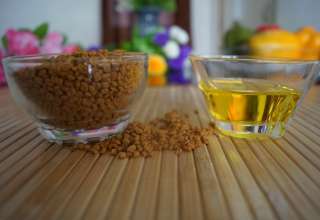 Fats extracted from vegetable oils and nuts are very important for your diet and complement any combination of nutrition sources. 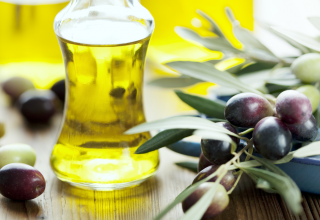 Ingredients rich with omega-3 are olives, nuts, grass-fed meats, avocados, and fish. Search for a paleo diet bar that contains ingredients listed above. It is generally a good idea to buy such snacks in stacks. You may want to have a good stock of healthy snacks in order to prepare for a trip or to plan your meals in advance. Fact #4. Nuts are not for everyone. While nuts can be described as a good fit for a paleo diet plan, they are not as healthy as it seems. If you are intolerant to nuts or want to avoid omega-6 fats, nut free protein bars are your best choice. Nuts are great when consumed in small quantities from time to time, but they should never be the cornerstones of your diet. 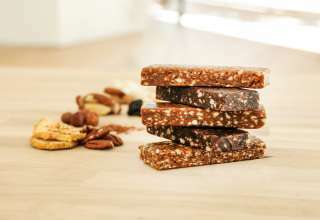 If you are a fan of making your own healthy snacks, try searching for a paleo bar recipe that consists from little to no nuts or almond flour. Many people believe that they can simply substitute processed grain with nuts thus avoiding glutens and other harmful ingredients. However, abusing nuts will also lead to a notable imbalance in nutrition leaving you with lots of dirty fats and phytic acids (unsaturated poly acids that prevent us from adsorbing nutrients). Hard-boiled eggs are great additions to any meal. Fact #5. Snacks are not meals. Many people abuse protein bars and eat them instead of having a complex meal. This is a completely wrong approach that leaves you without very important nutrients and additional fiber that your body desperately needs. At the same time, you simply need to eat a wide variety of foods in order to supply your organism with all sorts of nutrients. Eating only snacks that may lack iron or phosphates will surely harm your metabolism. You can definitely make your own diet that will be based on eating various custom snacks. For example, there are paleo protein bars recipes that include different ingredients that you can definitely play with substituting one with another. This way you will have a snack for your breakfast and a slightly modified version of the same snack for a dinner. While this is still not the optimal approach, such variations make your meal plans more versatile and nutritious. Protein bars that complement paleo diets are extremely popular. A healthy snack is something that we all need to keep our bodies vigorous throughout the day. It is imperative to feed the body between complex meals and paleo approved protein bars are the most balanced choice!